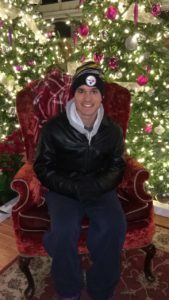 The week before Christmas, Greg was in Pittsburgh for a long week of testing. 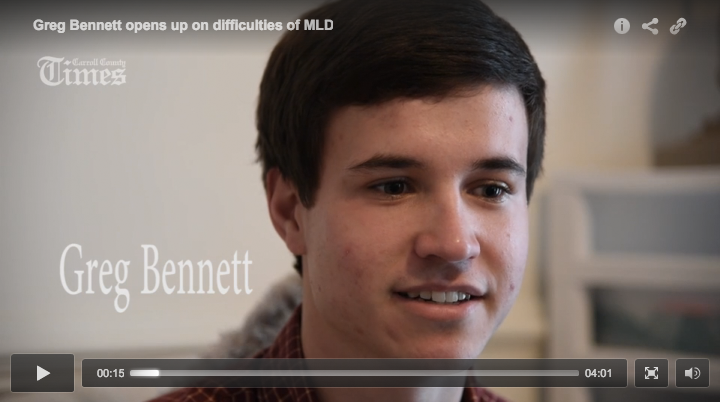 This is the third year he has participated in a natural history study about MLD. They help to monitor his progression of MLD by physical and neurological exams, cognitive testing, physical therapy, ophthalmology, visual evoked potentials, optic nerve tomography, auditory brainstem response, audiology, MRI, and the dreaded nerve conduction study. It’s quite an exhausting week! We are so pleased to be able to say that they found very little progression of his disease! He continues to be the “anomaly” he said he was from the beginning! Aside from some foot drop and minor changes in his MRI and hearing speech patterns he is basically stable!!! Praise God! We want to thank our Amazing Prayer Warriors! We are so blessed to have your support on this journey! We know Greg is defying the odds because of you! Please continue to pray for him and all of our MLD families. We will Never Never Give Up! Still looking for a Cure! and maybe cut me some slack. I am still in denial. It was a chilling and even heartbreaking message coming from someone who, with his quick laugh and sunny demeanor, looks like an entirely healthy teenager. 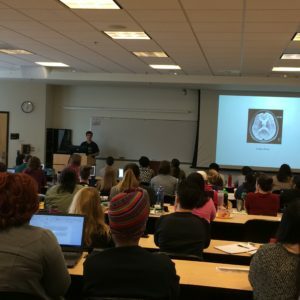 For the interns and others in training, who normally are addressed at their weekly “didactics” educational seminar by a professional, it was “a thousand times more powerful” to hear from a patient, said Dr. Brad Schwimmer, a psychologist at the hospital. Read more about Greg’s experience. “I have this disease, and I am living it day by day. Greg’s challenge is remaining free of the prison of other peoples’ perceptions. It is keeping loose from restrictions on his movement and his personal growth. It is exceeding the expectations that would set an expiration date on his dreams. 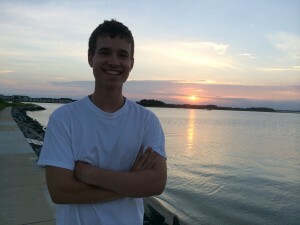 Greg’s story is one of a 19-year-old man who, with the support of his family, is fighting the odds. Read more about Greg’s journey. 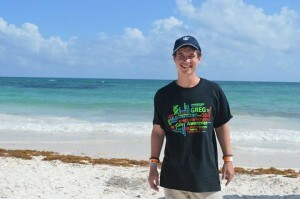 February is rare disease awareness month; so isn’t it fitting to update Greg’s blog this month. Greg’s mission is to raise awareness for Metachromatic Leukodystrophy (MLD). He wants to be famous. He wants to be a “Face of MLD”. The children and young adults that are on this MLD journey need a voice and he wants to be that voice. How amazing and courageous he is! We’re happy to report that we have passed the two year mark of his diagnosis! Thanks be to God he has not followed the course that was predicted for him. We were told that he would “be in a wheelchair in 2 years and gone in 5 years”. Well….he’s still walking and although it can be laborious and slow and he stumbles….Greg is still walking!! God willing he will continue to defy the odds! Greg continues to work hard in physical therapy and his therapist, MJ is one of his biggest champions. Stretching, land exercises, and water therapy take up several of his hours twice a week. It is there; at therapy that Greg has the biggest opportunity to share his journey and his version of MLD. 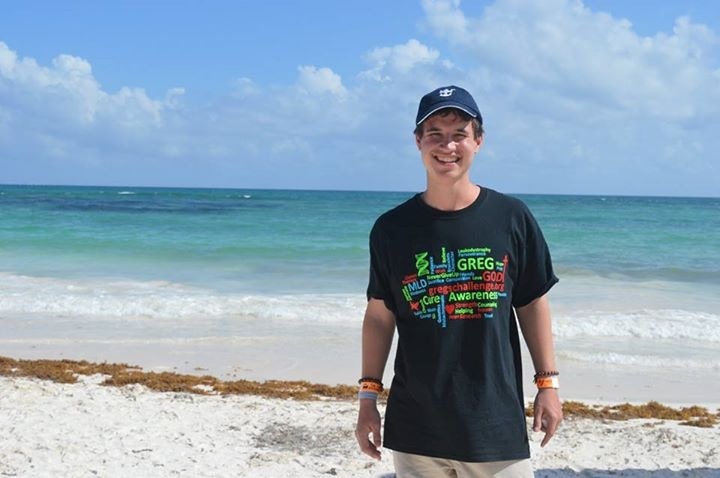 So many other patients and staff have become prayer warriors for Greg and others fighting MLD. He is raising awareness one “pool buddy” at a time! Greg and our family were blessed with a Make a Wish trip in November. 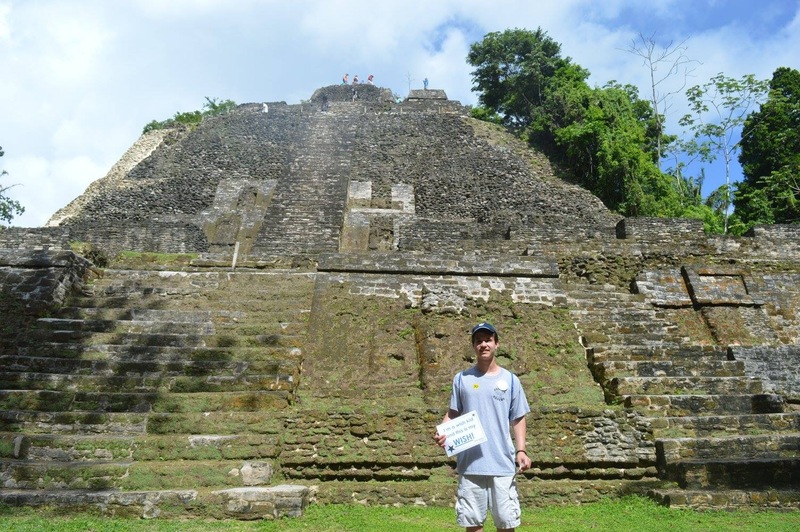 Greg’s wish was to see the Mayan ruins in Mexico. We were given a trip, via a cruise to Roatan, Belize, Costa Maya and Cozumel. The ruins were amazing and the countryside was beautiful; but it was the people that Greg was most happy with. 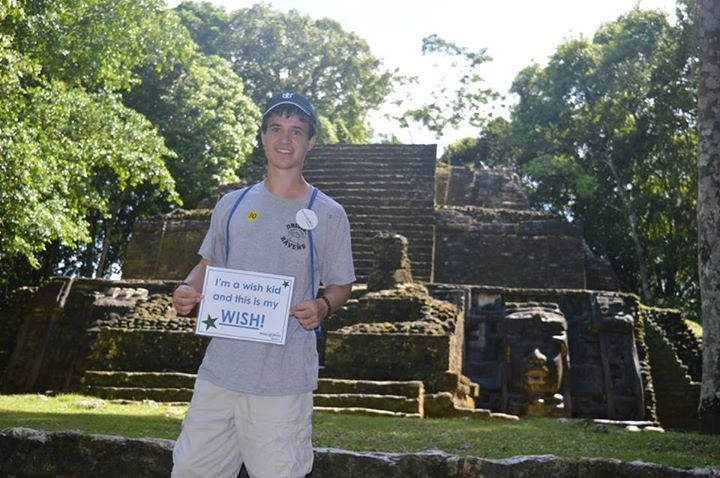 We had made shirts for Greg’s Make a Wish trip and they were a conversation starter….raising awareness! We shared a table at dinner with two younger couples from Florida and every night at dinner we would share stories about our day and we would laugh and laugh and you could just see Greg “lighting up” every night. We met people from other states and other countries. Our wait staffs were from Romania and Malaysia, the Make a Wish coordinators were from Canada and Ireland, and our room attendant was from Indonesia. There are people from around the US and the world that now know what MLD is and they have joined us in prayer and support. We even had people pray with us on the ship. We have to say that the people from the Make a Wish Organization and Royal Caribbean Cruise Line were incredibly generous and made us feel like royalty! In December we decided to make a change in Greg’s therapy. We felt that he needed some positive behavioral modification and goal setting rather than dwelling on the inevitable progression of MLD. He now sees a psychologist at Mt. Washington Pediatric Hospital who is committed to helping Greg find purpose and happiness in his life. He agrees with us on preserving and enhancing what Greg is able to still do. He has embraced Greg’s desire to spread awareness for MLD and has asked him to give a speech to his psychology students. 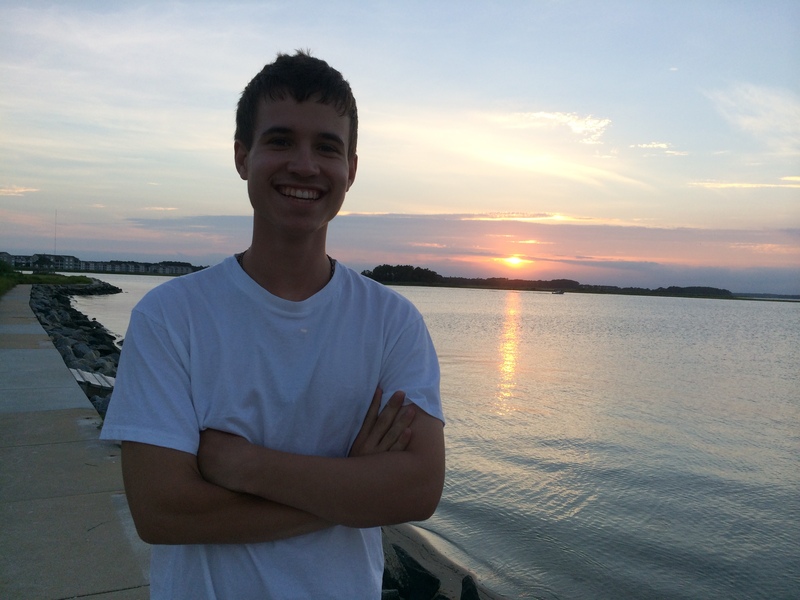 A chance for Greg to teach the medical community what it’s like to live with MLD as a young adult. Greg has the late juvenile form of the disease which presents and progresses differently than the infantile form. He has physical limitations for sure but he struggles with the psychological impacts more. To be able to educate this group of future doctors is a chance to save other kids from dealing with all the struggles that he did. If only Greg had been diagnosed sooner; could we have saved him from MLD? No, but we could have made sure that his quality of life was better. Perhaps the years of bullying and feeling different could have been thwarted altogether. Wayne likes to say that our medical society is content with looking at things from one viewpoint; “just because you have a hammer everything looks like a nail”. So many of Greg’s “symptoms” were explained away as behavioral or psychological issues; it wasn’t until we demanded an MRI that things were understood. We have found in the MLD community that there are many older kids that struggled with risky behavioral/psychological problems before they were diagnosed with MLD. We’re not saying that every child that presents with these problems needs an MRI. But we do feel that the medical community should be better at ruling out all possible physiological problems before they label a patient with a psychological illness. A complete noninvasive neurological exam revealed so many problems that Greg had. Perhaps his insight can help these young doctors and their colleagues see things in a new light; it might not be a nail! Another exciting opportunity Greg has been blessed with is the chance to tell his story to a reporter for the Carroll County Times. Greg and family and his Neurologist at Kennedy Krieger were interviewed; and Greg was photographed at physical therapy, church, and at home making his bracelets and with his beloved plants! The reporter said, off the cuff, that maybe the article would be picked up by the Associated Press. Greg only “heard” that it would; so he’s looking forward to his moment of fame! Greg continues to walk and talk and eat independently, all things “they” thought he wouldn’t be able to at this point. He has continued to defy the odds and for that we are so thankful! Our strength comes from Greg and of course from God. But our daily reminders of love and support from our friends and even strangers are what sustain and strengthen us. Thank you for that! 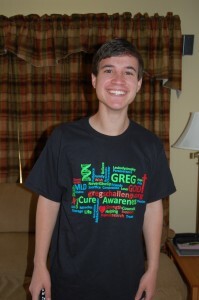 September is Leukodystrophy awareness month and Greg’s mission is to raise awareness for Metachromatic Leukodystrophy. So we thought it was fitting to update the blog this month. Writing something, putting it on paper, is difficult. It forces us to deal with reality; which isn’t always positive. 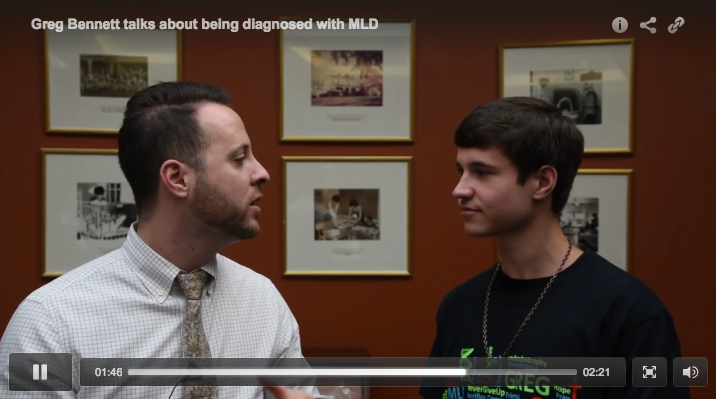 We took Greg to Pittsburgh in August for his follow up with the MLD experts. There has been disease progression. There are changes; his legs are weaker, his range of motion is worse, he scored 4 years lower on some of his cognitive studies. Nothing we heard was a surprise and yet it was painful to hear. Pulling us out of denial and reminding us that as much as we may not want to admit, Greg is having a hard time. We have evidenced changes at home. He tires easily and naps frequently. Getting out of the car is a hassle. We also saw it at the beach this summer. Greg didn’t want to get in the ocean waves, or the pool or bay this year. He finally explained to us that his legs tighten up and he doesn’t have enough control that he feels he may drown. It must be so hard to want your body to do something that it no longer can. Greg continues with physical therapy twice a week. Although he may not be as strong as he was, his therapist, MJ is working with him to preserve what he can and keep him mobile for as long as possible. We found that the water therapy has been extremely beneficial in helping his muscles to loosen. His grandmother blessed us all with a hot tub this summer. As wonderful as it is in helping Greg continue with home therapy it’s an added stress reliever for the rest of the family! Be that as it may, I’m drawn back to the trip to Pittsburgh when Greg said, “I don’t think I want to come back here next year”. He continued by saying, “they only focus on the negative they don’t say anything about the positive”. I pointed out to him that they weren’t trying to be hurtful and that their job is to point out the disease progression. But the more I thought about it, the more I think Greg is right!! What about what he CAN do! We need to continue to celebrate what he CAN do and not dwell on what he can’t do. By the grace of God, Greg CAN walk! He CAN eat and swallow. He CAN see and hear. He CAN communicate. He CAN laugh and engage in conversation. At some point he will be robbed of these “simple pleasures” but right now, today he is ABLE! Praise God! We have been blessed by the support of family and friends on this MLD journey. We have “met” other MLD families online. We pray for them and their journey as well. What we do know is that each journey, each path is so individual. Greg’s future may seem bleak but with the help and support of others we will persevere. We will Never Give Up! Greg had a follow up appointment with his Leukodystrophy team at Kennedy Krieger which resulted in some positive feedback! 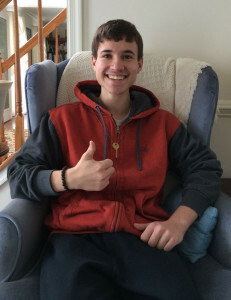 It appears that Greg has minimal progression of his MLD symptoms! They felt that he was physically stronger than a year ago and had the same range of motion (he has tight Achilles tendons and all the muscles in his legs). Physical therapy is working! We were also happy to hear that his bracelet making endeavor (Occupational therapy) has all but eliminated his hand tremors! Apparently he has formed new pathways in his brain and retrained his “muscle memory” so the repetition of stringing beads has strengthened the new pathway! Of some concern was the diminished sensation on his left foot. However, they repeated the nerve conduction study and it appears that he has no Peripheral Nerve involvement. So far the MLD has remained in the Central Nervous System. Good news for the potential of future clinical trials. 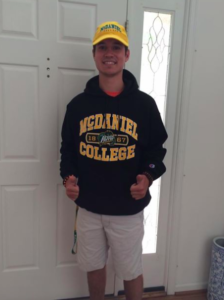 We give big thanks and credit to his fabulous Physical Therapist, MJ, at Central MD Rehab! He continues to go twice a week for stretching and land exercises, followed by aqua therapy (his favorite place to socialize). Greg has become quite the ambassador for CMRPS: he knows all of the therapists and techs and business staff and even most of the patients. They have treated him with such love and care; it has become a second family for him. Greg has also had a couple of job interviews. This last one was fruitful in obtaining volunteer work at a local senior center, helping out with activities and wherever else he may be needed. 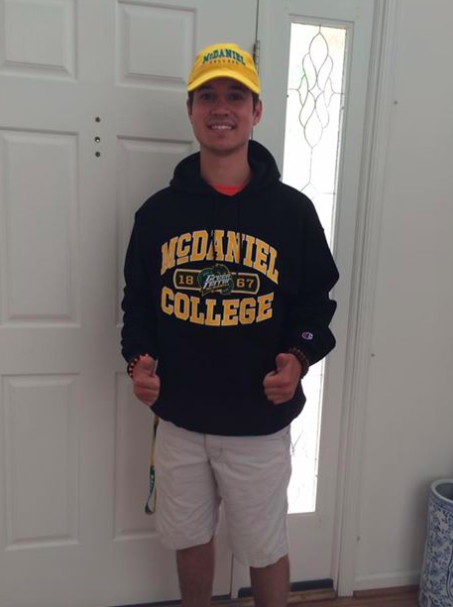 He is excited to meet and interact with the elderly and has high hopes to educate them all on MLD! Greg continues to make bracelets and tell everyone about MLD. He even “shocked” the girl who cut his hair by telling her he had “a rare disease in his brain and wasn’t expected to live long”. We think the haircut suffered a bit due to her surprise and emotion. That’s probably the hardest thing about MLD, Greg’s thought processes are so scattered and lack a filter. He blurts out anything he is thinking and jumps from topic to topic which makes it difficult if not comical to follow. He realizes it is happening but seems unable to control it. The regression in maturity is probably the hardest thing to witness given the fact that his early years showed such promise and potential. People used to say that talking with Greg was like “talking to a little man”. He was beyond his years early on. Fortunately, Greg continues with a strong Faith and an attitude of invincibility. He may aggravate us (especially at the dinner table) but he certainly keeps us entertained. He is such a lovable kid and tries so hard to be helpful. 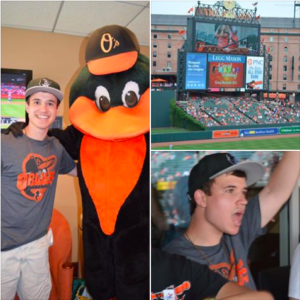 He really enjoys meeting new people and going places and wants to spread awareness for MLD. We may not be sure where this path is leading us or where in the journey we are but we will Never Never Give Up! Thank you for your love and support, together we will persevere!